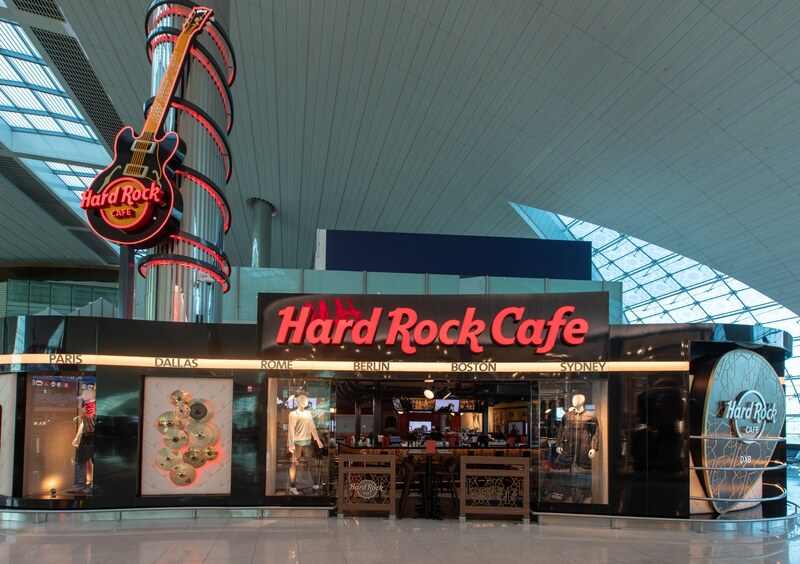 Following the successful opening in Dubai Festival City, Hard Rock today opened its second Dubai location, Hard Rock Cafe DXB. 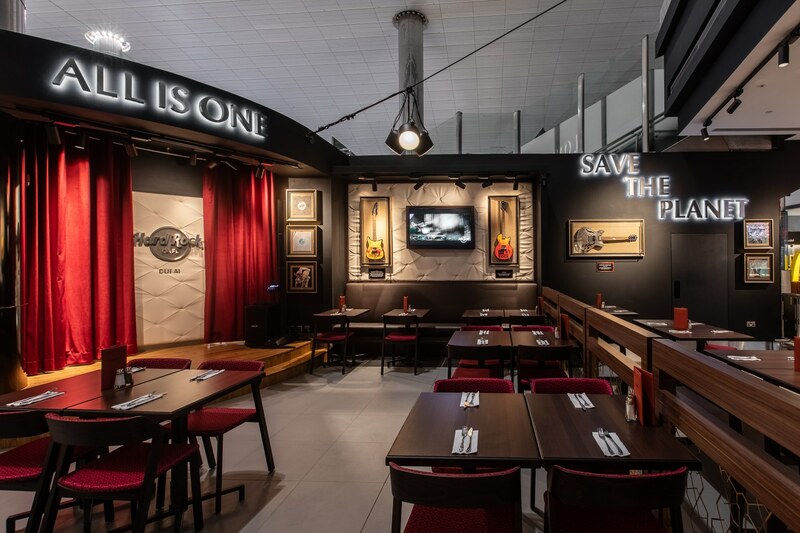 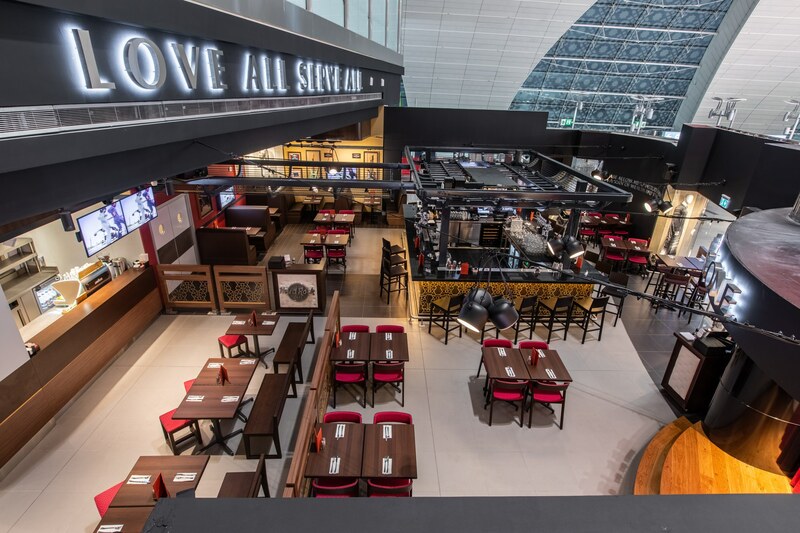 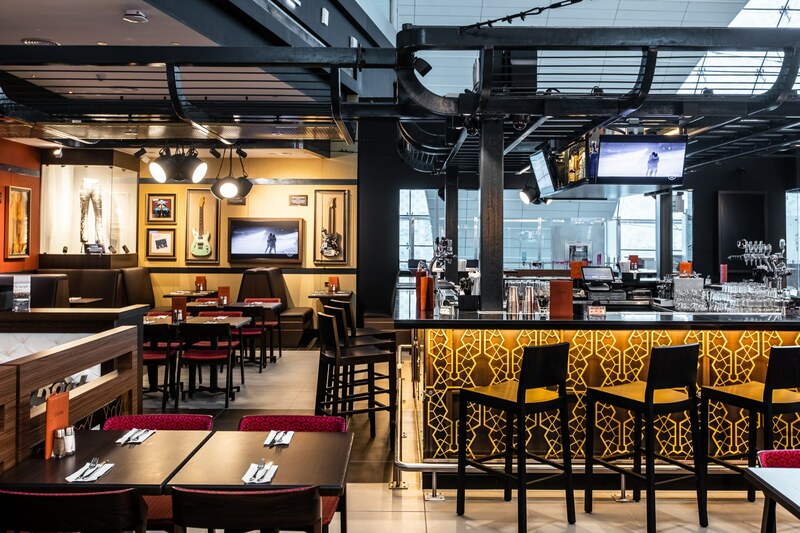 The latest Hard Rock Cafe is located within the Dubai International Airport (DXB) in Terminal 3, Concourse B by Gate 25. 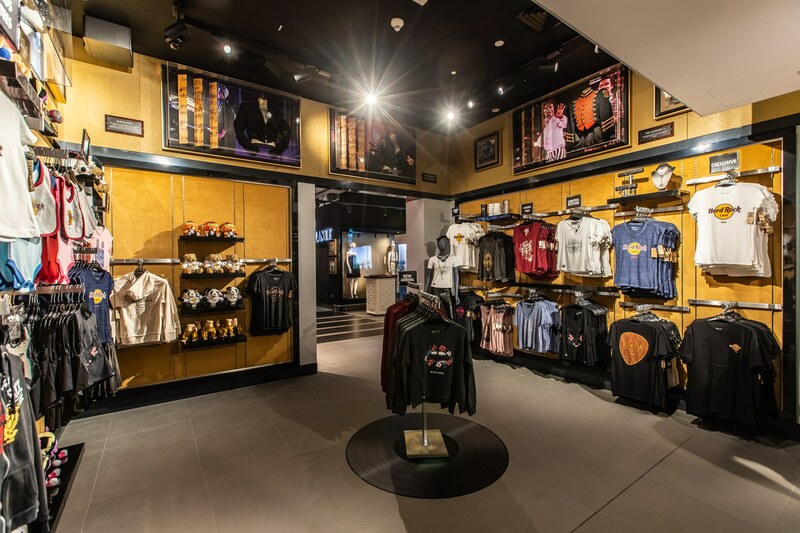 Spanning more than 476-square-meters, Hard Rock Cafe DXB can seat up to 110 guests and features a state-of-the-art bar, intimate live music stage and Rock Shop, which includes a signature DXB collection of pins and shirts, among other city-specific merchandise. 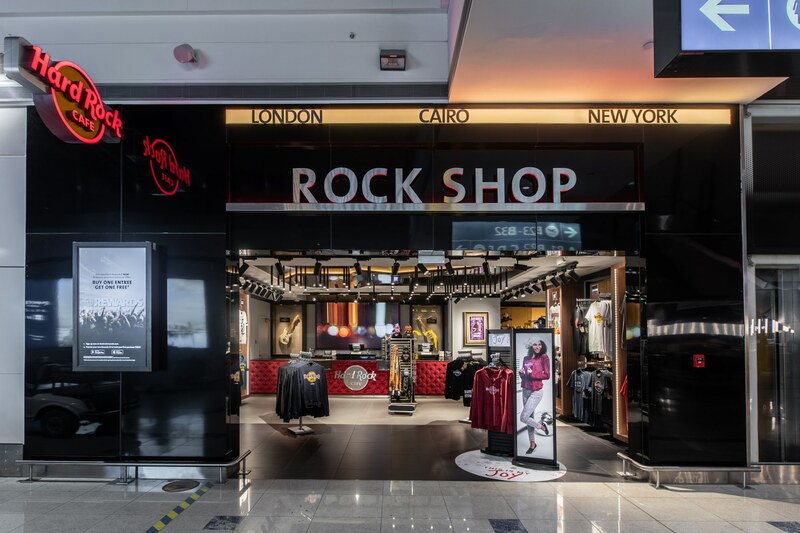 The new cafe also features unique décor and combines Arabic influences with Hard Rock’s globally recognized design, complemented by a selection of original and priceless music memorabilia from international artists. 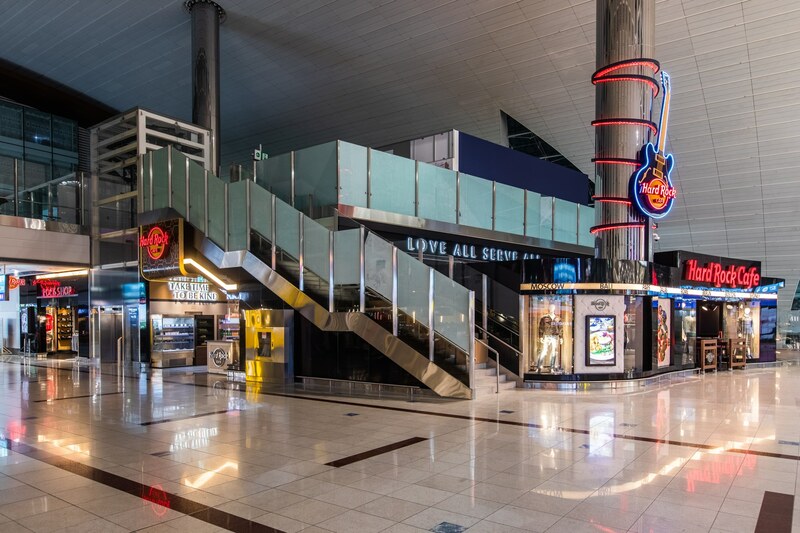 Artists and memorabilia highlighted throughout the cafe include a Versace shirt once worn by Prince, Jimi Hendrix’s fringed leather vest, and Rihanna’s stylized mask worn for Harper’s Bazaar Arabia. 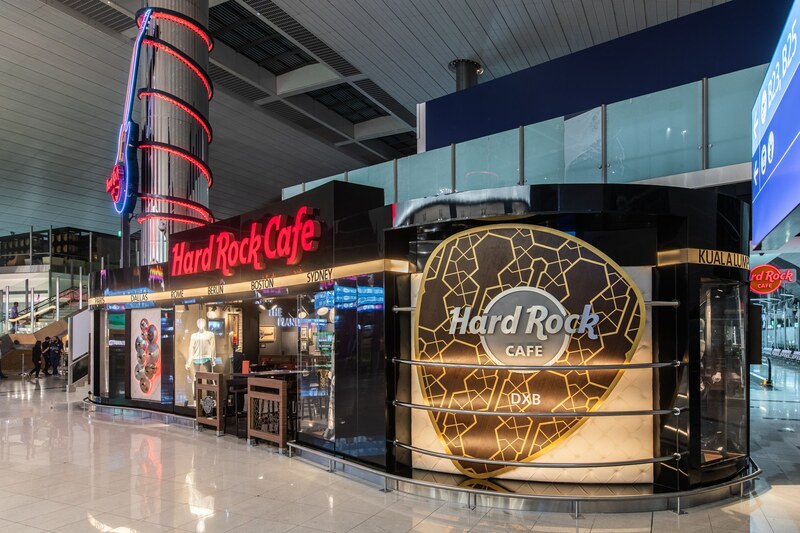 Guests of Hard Rock Cafe DXB can enjoy fresh, high-quality items from Hard Rock’s menu, including a selection of fan-favorite Legendary Burgers™, fajitas, nachos, and hot fudge brownies, alongside several new hot and cold items for travelers to grab and go. 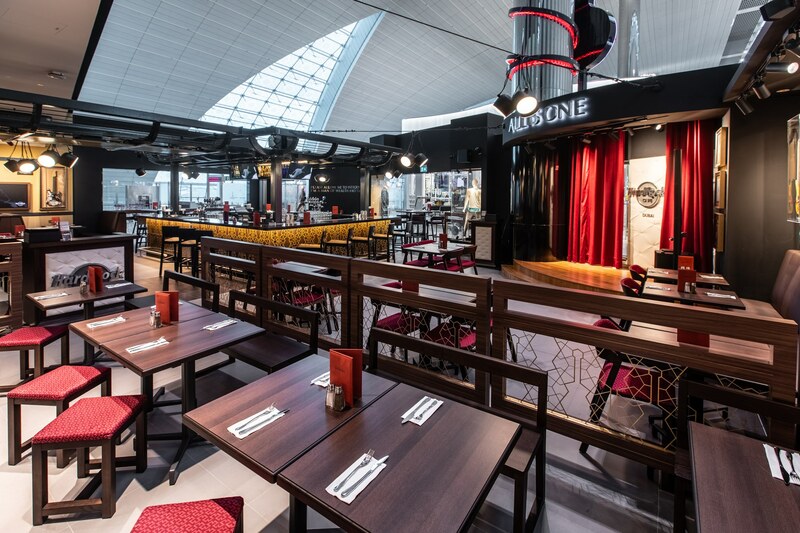 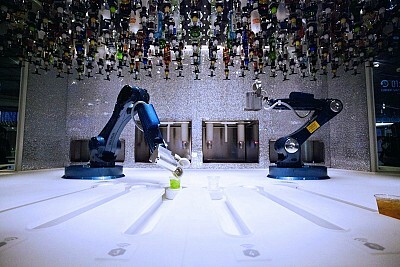 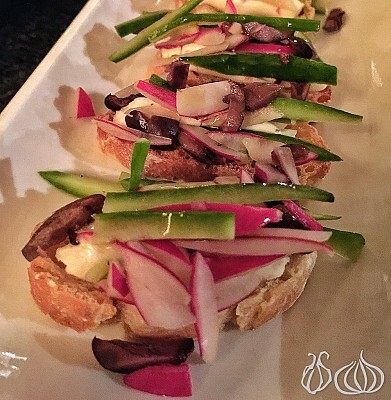 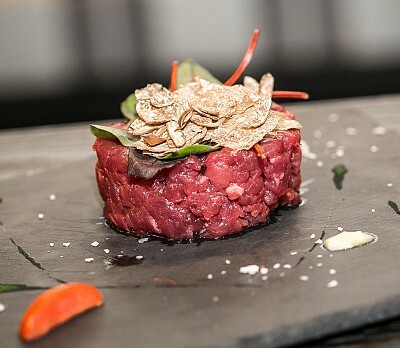 Early risers can also choose from unique breakfast selections at the new cafe. 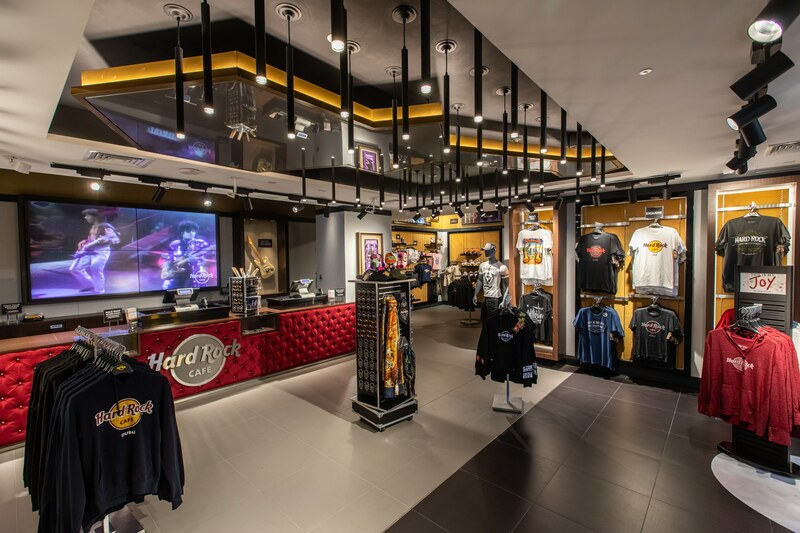 In addition to its food, Hard Rock Cafe’s extensive, award-winning drinks menu includes Hurricanes, Margaritas, signature favorites, and Alternative Rock (alcohol-free) beverages, all available in Hard Rock’s souvenir, collectible glassware.